The Walther 1250 dominator implements the proven engineering of the successful Walther LG300 Dominator in a compressed-air repeating system with 8-shot rotary clip. The bolt-action feeds the pellet directly into the barrel, resulting in precise long-distance shooting with minimal velocity reduction. 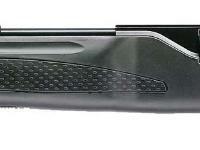 The gun comes with fiber optic front and rear sights. To get the most accuracy, mount a scope on the 11mm dovetail. 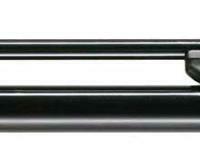 The 300 bar (4350 psi) air reservoir delivers 100 shots at 40 joules (29.5 ft-lbs). There's a built-in gauge on the end of the reservoir. 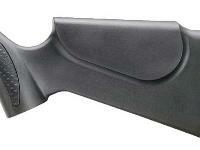 The fiberglass-reinforced synthetic stock has a Monte Carlo buttstock with cheekpieces on both sides. The textured forearm and pistol grip make it easy to have a firm grasp at all times. If you don't have the equipment to pressurize the gun with 4350 psi air, you can still use it when pressurized at 3000 psi (206 bar). You'll get fewer powerful shots at that pressure, but the gun will still perform as intended and you'll get the same high velocity! Click on the AMMO link for suggested pellets. Find scopes, mounts, targets and other gear in the ACCESSORIES link. Things I liked: this is a continuance of a previous review, best pellet H&N sport Baracuda 10.65gr .177, very accurate with .50 groups at 25 yards, an occasional flyer as with any pellet, about 35 shots per charge, this thing is deadly, I am impressed with it's performance. I put a Leapers UTG 6-24x50 scope on it, a great combo for this rifle. What others should know: make sure to get all the adapters for the pump and scuba tank set ups, the gun includes a DIN adapter that will fit a scuba tank with DIN type valve for direct attachment to the tank, use the H&N Baracuda pellets 10.65 gr for .177 cal. Things I liked: I bought the .177, it's very accurate, smooth trigger and bolt, works good with H&N Baracuda 10.65gr and Beeman silver jet, it is a little loud but well worth it. Things I would have changed: I bought this in a combo, the combo did not include the pump adapters part #PY-A-5358 Air Venturi SS female DIN adapter w/ male quick connect, and the pump did not include a female fosters quick connect, it would be nice to include these items in the combo package, that way you could actually use the gun when it arrives, instead of finding that you need to order more parts. 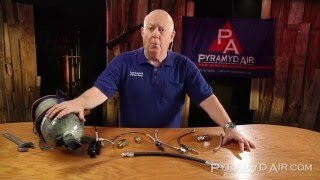 What others should know: make sure to order all the needed additional fittings and adapters when you order this or any PCP air gun, they are not included in any of the combos, make sure to check the PCP hook up link for all the proper adapters you will need, if you use a scuba tank with a DIN valve the DIN adapter is included with the rifle, scuba tank is much easier than the pump. very good grouping with the H&N barracuda pellets, .50" at 25 yards, a couple of flyers here and there but over all excellent. Things I would have changed: the only things id change re probably a new trigger since i am not fond of plastic ones and hopefully if it could include a complete adapter for a scuba tank or what not because its a pain having ti buy all the adapters and stuff but other than that its great! Since the air tank must be removed to fill, are extra tanks available anywhere? It is Item No. 465.108 and it would need to be special ordered. 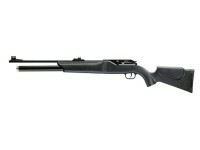 Walther 1250 Dominator. 8-shot repeater with fiber optic sights.